Solid & Hazardous Waste Management Consultants | KERAMIDA Inc.
KERAMIDA provides complete solid waste and hazardous waste management services for a wide range of industries. Our engineers are highly experienced in waste management evaluations, landfill monitoring, landfill design, superfund site cleanup, and RCRA closure. Visit our website to view our waste management experience. 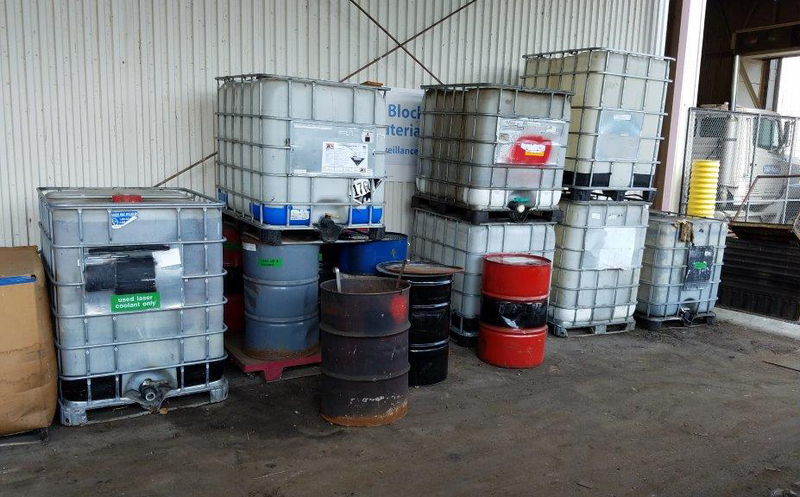 We provide complete solid and hazardous waste management services for a wide range of industries. KERAMIDA provides permitting services related to the construction and operation of restricted waste, solid waste processing facilities, transfer stations and disposal facilities. KERAMIDA assisted a cement manufacturing facility in obtaining a restricted waste landfill permit for cement kiln dust disposal in an area with karst geological features. The permit included negotiation of special groundwater monitoring requirements utilizing dye trace studies and a spring monitoring system. The spring monitoring system has been in place since 2000 and KERAMIDA performs all operation and maintenance of the system. We have also provided all environmental technical support services for the Tippecanoe Sanitary Landfill (TSL) since 2000. IDEM contracts with KERAMIDA to conduct operation and maintenance services, as well as other technical services, for solid and hazardous waste sites across the state. We also provide operational services for private and municipal owned sites throughout Indiana and other states. Purdue University contracted with KERAMIDA to assist with slope stability issues associated with a closed landfill. There was significant erosion due to the steep slopes on two sides of the site causing the soil on top of the liner to slough off resulting in stability issues. There was limited property available which restricted the potential solutions. After design considerations and evaluation of the options, it was determined that the best solution for long-term maintenance was the HydroTurf® Z. This option was selected based on performance, construction cost, ability to construct within limited available property, long-term maintenance cost savings, and aesthetics. It was the first application in Indiana and since that installation, KERAMIDA has worked to obtain IDEM support for the use of another product, ClosureTurf®, for landfill and Coal Combustion Residual (CCR) closure. KERAMIDA has provided site investigation, remediation, groundwater sampling and analysis, operation & maintenance, and reuse planning for the TSL Superfund Site. KERAMIDA developed designs to remediate issues associated with erosion and slope instability. An innovative design using HydroTurf® Z was implemented and was the first application of HydroTurf® Z in Indiana. City of Indianapolis, Department of Public Works - KERAMIDA developed handling and management procedures consistent with requirements of ISO 14001 EMS. The procedures developed for waste management were one element of the larger scope of work for EMS development. The procedures were implemented and followed. Indiana Department of Administration - KERAMIDA performed characterization, classification, packaging, and disposal. The agencies and offices included hospitals, printers, laboratories, photolabs, maintenance and support operations. KERAMIDA has an ongoing contract to assist all agencies with waste management and disposal needs. Indianapolis Department of Transportation - KERAMIDA provided turnkey services for development of closure plan, sampling, waste disposal and closure certification. Indiana Department of Corrections - KERAMIDA provided hazardous waste management for the unit closure. Key negotiations were conducted to limit the contaminants of concern. Autoparts Manufacturer - KERAMIDA performed equipment cleaning and decommissioning, characterization, classification, and disposal. Over 1 million gallons of various waste waters, chemicals, and sludges were disposed. Automotive Castings Manufacturer (Foundry) - KERAMIDA provided complete non-hazardous waste classification and agency approval, and assisted with agency inspections. Recommendations for waste segregation were implemented that resulted in streamlined waste management. The agency inspection was completed with no deficiencies cited. E-A-R Specialty Composites (Plastics Manufacturer) - KERAMIDA developed management plans, characterization, and completion of reports. There were also special considerations for incineration of non-hazardous general waste. KERAMIDA has an ongoing contract for regulatory assistance and vendor auditing. Elan Pharmaceuticals - KERAMIDA established compliance with 40 CFR Subpart AA, BB, CC. KERAMIDA completed integrity testing, leak testing, and the associated documentation. Simon Management Group (Retail Facilities) - KERAMIDA provides ongoing classification and disposal services for this client. PCB ballasts, capacitors, and fluorescent bulbs are managed, and all tasks are completed on time. Back 2 Basics (Reprocessor of Municipal Waste) - KERAMIDA facilitated the acquisition of permits for several facilities, to allow application of processed municipal waste to agricultural land. Indiana-American Water Services (Water Utility) - KERAMIDA provided classification and completed waste disposal of water treatment chemicals. Rochester Metal Products (Foundry) - KERAMIDA completed a hazardous waste contingency plan and training. The plan was implemented. City of Garrett (Vacated Manufacturing Plant) - KERAMIDA was hired to provide waste sampling, classification, packaging, and disposal. Waste sampling of a large number of containerized and bulk unknown wastes was completed, and disposal requirements were established. KERAMIDA was retained by the Authority to review a major application for a hazardous waste landfill construction and educate the Authority on the issues and their merits. Issues included adequacy of technical landfill design, hydrogeological considerations, air emission concerns, noise, traffic, and waste generation/need for the facility considerations. KERAMIDA conducted training sessions for the Authority, reviewed the eight-volume application and prepared a written report on its merits, participated in all public meetings held by the Authority and provided technical support to the Authority during its three-day deliberations for permit approval. KERAMIDA performed comprehensive compliance groundwater monitoring and statistical evaluation of data for several municipal and industrial landfills. An example is the Madison County Landfill, where KERAMIDA conducts semi-annual groundwater sampling and statistical analysis which includes: the collection and analysis of groundwater samples from 14 monitoring wells that range from 2-inch to 4-inch in diameter; field measurements of specific conductance, pH and temperature, static water level and total well depth; and the statistical analysis of the groundwater quality data using EPA’s GRITs statistical software package. As part of KERAMIDA’s contract, quarterly methane monitoring was also conducted at this facility. The methane monitoring program included checking methane levels using a Digiflame methane monitor, total volatile organic levels using a photoionization detector and LEL levels using a Gastech monitor. KERAMIDA reviewed closure activities that had taken place at the site over several years. Due to the age of the landfill and the time that had elapsed since its closure, it was necessary to negotiate the closure specifications with the IDEM’s Solid Waste Engineering Section. KERAMIDA performed geotechnical and topographical surveys to assess compliance with the closure requirements. Recommendations were provided regarding added cover material, site grading, security, and financial assurance. A Closure Certification document with a Professional Engineer’s seal was completed after all closure requirements were met. KERAMIDA designed and negotiated with the state agency and implemented corrective action for a sanitary landfill to address off-site contamination. KERAMIDA has prepared numerous closure and post-closure plans for solid waste landfills and industrial special waste disposal sites for submittal to the state environmental agency in compliance with state rules. KERAMIDA provided strategy assistance and support in negotiations with the regulatory agency in setting guidelines for disposal sites for cement kiln dust. KERAMIDA prepared a permit application for a cement kiln dust monofill and assisted the client with its negotiations with IDEM. The permit application included elements of geological exploration due to Karst terrain. KERAMIDA evaluated data of hydraulic conductivity, performed statistical evaluations, assessed the significance of information generated through equations versus information obtained by slug tests and successfully presented to the state agency the conclusion that the aquifer was not an aquifer of significance, for purposes of compliance with regulatory requirements. KERAMIDA evaluated the fee structure and justification and reviewed the technical documents provided in support of the fee by a solid waste disposal vendor to a solid waste commission. KERAMIDA performed comprehensive ambient air modeling for projected emissions during the active life and post-closure life of a major new municipal landfill, in order to determine permit requirements. KERAMIDA prepared and submitted a permit application to the state agency; negotiated with the state agency; performed landfill expansion investigations and design; monitored well installation. Work culminated in the successful issuance of a landfill permit. KERAMIDA prepared and submitted a permit application; provided landfill design, geological exploration program; represented the University in negotiations with the Indiana Department of Environmental Management. Work culminated in the successful issuance of a landfill permit. KERAMIDA conducted a comprehensive evaluation of, and prepared report for, management alternatives for foundry sand. KERAMIDA performed an assessment of conditions and feasibility for slag reuse in construction sites. KERAMIDA performed an assessment of options for foundry sand disposal and reuse. KERAMIDA assisted a foundry in the evaluation of restricted waste disposal options. KERAMIDA conducted a comprehensive evaluation of, and prepared report for, management alternatives for by-products of cement production for a major cement manufacturer, and evaluated the feasibility of disposal sites. KERAMIDA prepared and submitted construction and operation permit applications for the incinerator of animal carcasses, resulting in the successful issuance of permits. KERAMIDA performed an evaluation of ash characteristics; regulatory negotiations and lobbying for waste classification; ash monofill disposal and environmental impact evaluation. KERAMIDA evaluated costs and revenues of a municipal landfill used for the facility’s valuation in anticipation of litigation. KERAMIDA provides an onsite staff person at the NISSAN North America, Inc. - Decherd, Tennessee manufacturing plant to manage all aspects of hazardous waste, special waste and solid waste disposal for the facility. KERAMIDA completed environmental assessment and remediation activities for this brownfield site that was an abandoned former gray iron foundry in downtown Richmond, Indiana.